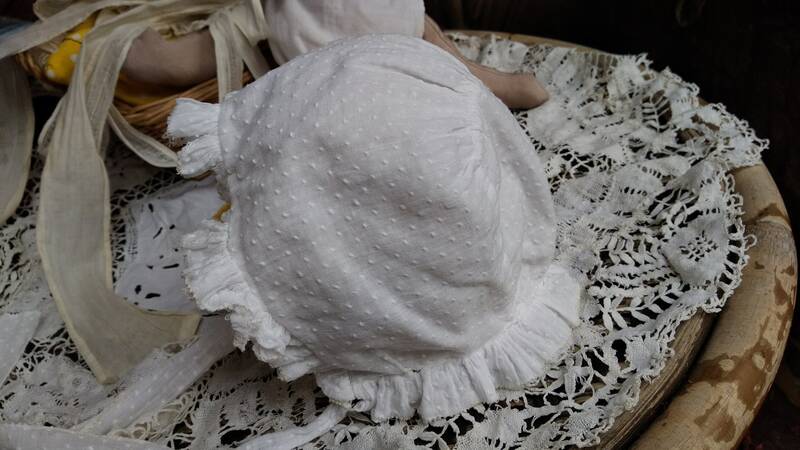 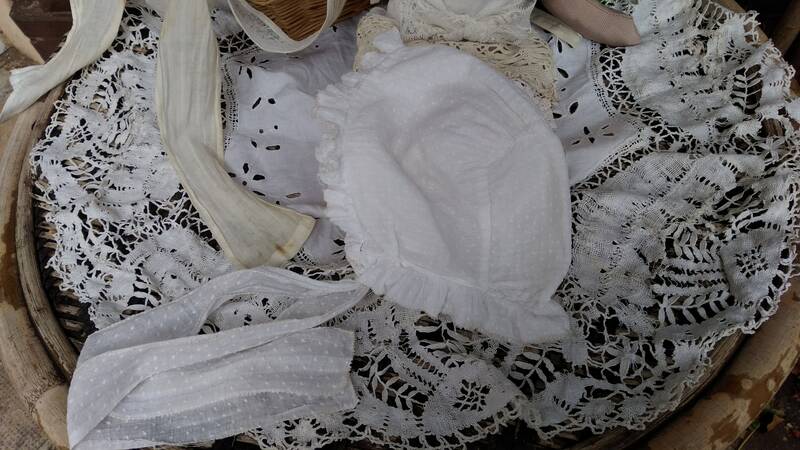 Baby Bonnet. 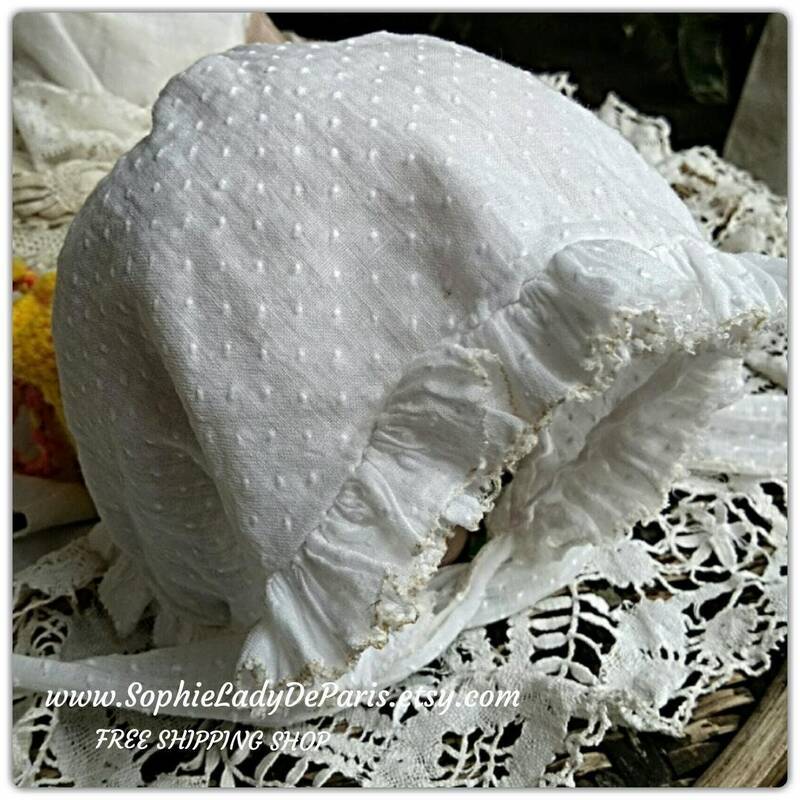 Polka Dots Embroidered . 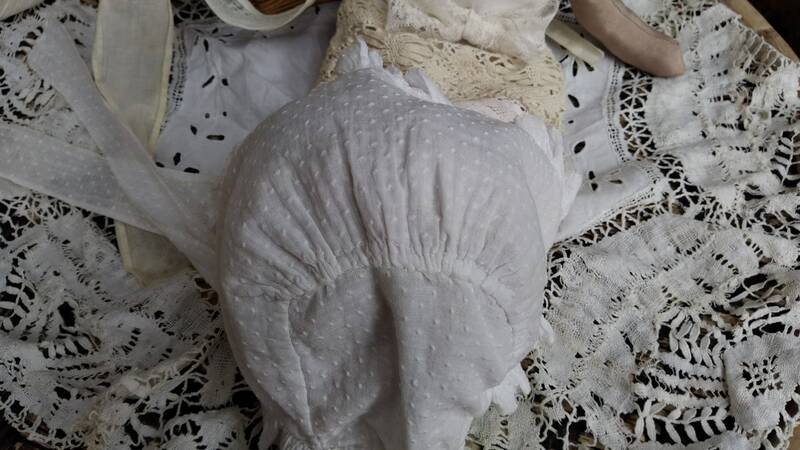 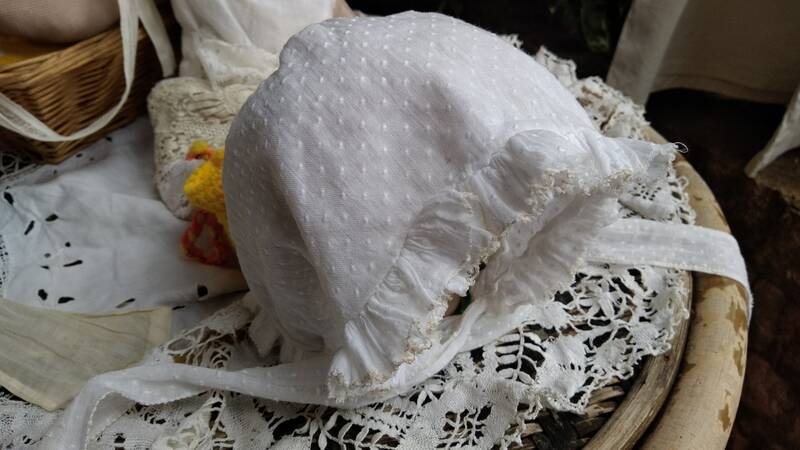 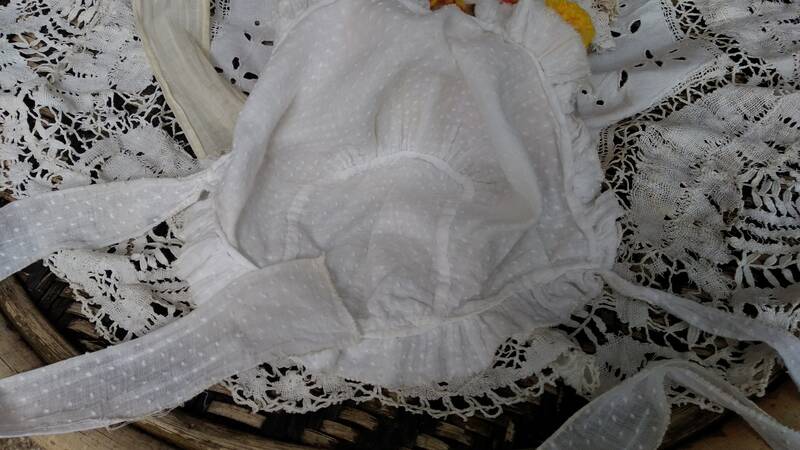 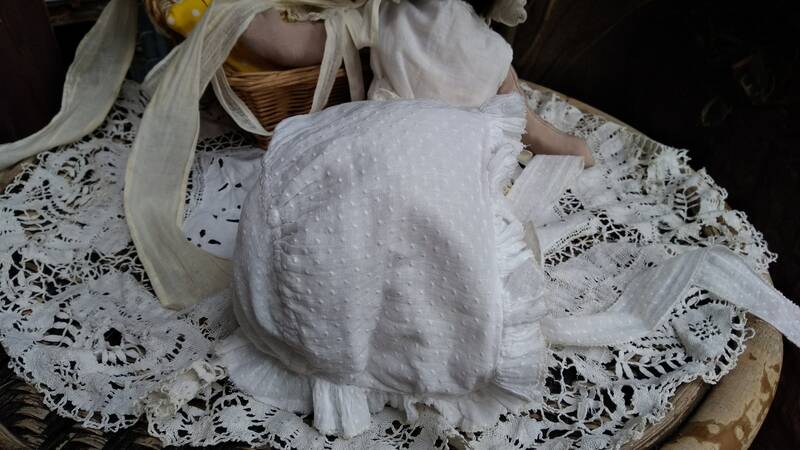 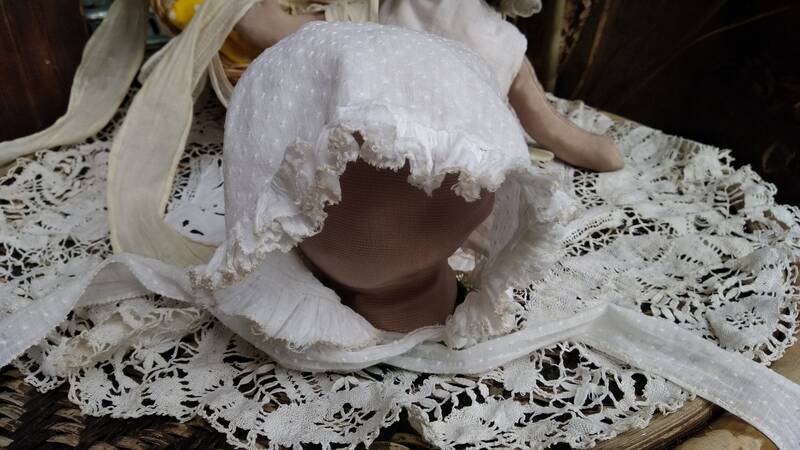 White French handmade Cotton hat from 1930's. 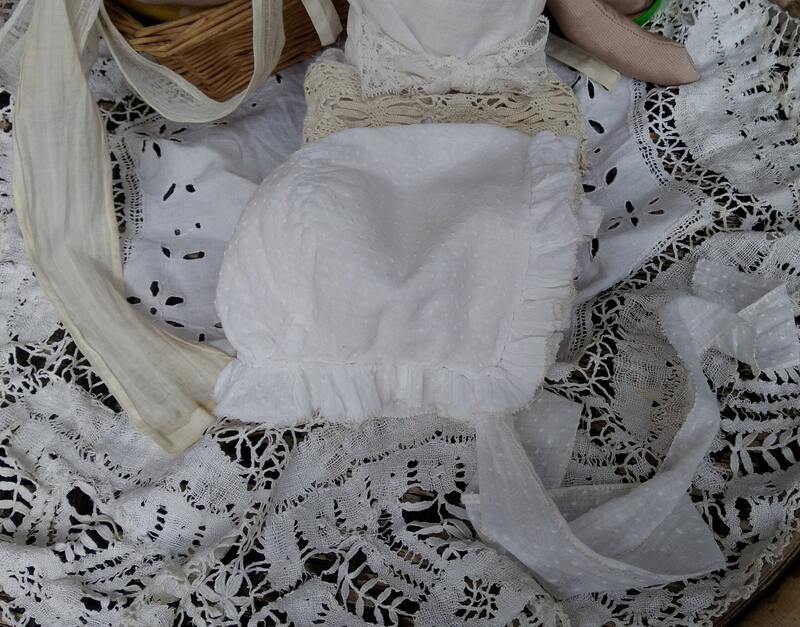 Baby size or for a large doll.